The origins of the design of this aircraft lie with the engineering department of the Compañía de Aviación Faucett, a private air transport company originally organized in 1928. To meet its requirements to operate in the unique conditions of the Peruvian Altiplano the firm sought to construct a strong, powerful, single-engine aircraft capable of short takeoffs and landings. The inspiration of the design was the Stinson SM-1 Detroiter, an American-built aircraft already in service with the airline. When the Compañía de Aviación Faucett was reorganized in 1938 as a part of Empresa de Transporte Aéreo del Perú (Aeroperú) the firm’s engineering department became the foundation of the Empresa Nacional de Aviación and development work continued. The first aircraft were delivered in 1939 to Aeroperú and is subsequently became the backbone of the Servicios Aereos de los Andes, the semi-military organization charged with assisting development in the Andean region. Others were acquired by the Fuerza Aérea del Perú itself for staff, liaison, and light transport duties. Fifteen examples of this twin-engine passenger and cargo aircraft were acquired between 1943 and 1944 to provide basic military airlift for the Fuerza Aérea del Perú. The sparse rail and road network of Perú places a premium upon air transport, and as part of the national military renovation the Fuerza Aérea del Perú sought to expand its airlift element. 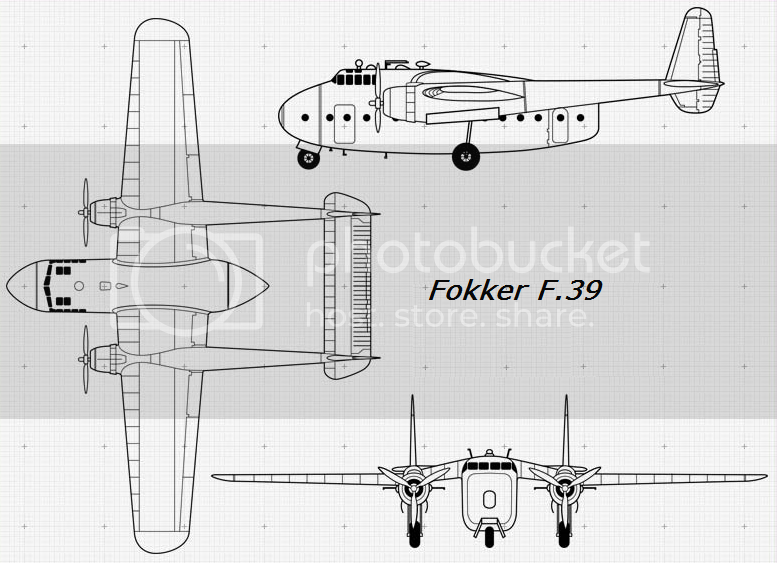 Early in 1946 a technical mission evaluated the Dutch Fokker F.39, an aircraft with twin booms, a tricycle undercarriage and a high-wing layout. Its large cargo-carrying capacity and high empennage set, which permitted motor vehicles to load directly from the floor of the aircraft, was particularly noted. Orders were soon placed for twelve examples, the first of which arrived early in 1947. Three similar aircraft, in civil configuration, were also acquired for operation by Aeroperú, which employs them as air freighters operating to the region of Loreto. To fulfill its role in developing the vast interior of the nation the Empresa de Transporte Aéreo del Perú relied initially upon the Empresa Nacional de Aviación C-19 Pardusco, a single-engine light transport developed in the late 1930s but well adapted to Peruvian conditions. This aircraft however was limited in both its load capacity and in its single-engine configuration. To overcome these limitations the ENA began in early 1946 the design and development of a twin-engine aircraft to specifically meet the needs of AeroPeru for a successor to the C-19. Late that year proposals were approved by the Ministerio de la Produccion and construction of a prototype authorized; it was rolled out in September 1947 and flight tests confirmed the design’s suitability for Peruvian conditions – rugged, simple to maintain, and exhibiting the ability to operate from short unimproved airstrips. It was fitted with a large cargo door on the port side of the aircraft, and the floor of the aircraft was fitted with numerous tie-down points, as it was intended to act as a freighter only. An order for an initial quantity of ten aircraft was placed early in 1948.